Why should law students become familiar with blockchain technology? As a law professor, I know that the most popular faculty recommendations for new law students are: guides to studying, exam-taking, and career success; biographies of lawyers and judges; novels like “To Kill a Mockingbird” and “Billy Budd”; surveys of American legal history; and discussions of current social concerns. But the graduation gifts that I sent in May to a friend’s law school-bound daughter included two other items: New York Court of Appeals Judge (and future Supreme Court Justice) Benjamin Cardozo’s commencement speech, “The Game of Law and Its Prizes,” and an introductory book on blockchain. Just such problems, requiring just such perspectives, are created every day by blockchain, through which widely-distributed participants use encryption to pseudonymously register transactions on a secure, decentralized, and universally-accessible online record without relying on a trusted third party like a government or bank to maintain or verify the information. In at least ten ways, a basic background in blockchain will immediately enhance students’ experiences and opportunities in law school and beyond. First, the technology’s applications and implications pose practical issues not just in the standard first-year subjects (contracts, torts, criminal law, property, and civil procedure), but across the entire law school curriculum, often connecting several different courses. For example: which courts have jurisdiction over a fraudulent sale that involves parties in different states (or countries), requires payment in Bitcoin, and is executed automatically by blockchain-based “smart contract” software? Addressing such questions will inevitably involve analogies to and extensions of traditional legal doctrines (such as the authority of agents) and definitions (such as those of “commodities,” “currencies,” and “securities”). Students will see the law grow and change, even as they are learning it. Second, it still doesn’t take too long to read the relevant court decisions and law review articles in this area. Nor are there very many shelves-full of books on blockchain. Third, staying current with the tide of developments in the industry and regulation of blockchain—including numerous “white papers” identifying the philosophies, policies, and technologies of developers and trade groups– will help train students to amass, assimilate, assess, and and analyze information in rapidly-evolving situations. Of particular concern in this context, as in higher mathematics, is the clarification of definitions of core concepts, not only of blockchain and Bitcoin, but also of tokens, securities, and money itself. Fourth, as detailed in several popular books, the history of Bitcoin provides valuable lessons not only in the emergence of this community’s culture, collaboration, and consensus, but also in the ways in which effective lawyers serve as creative problem-solvers rather than as deal-killers. 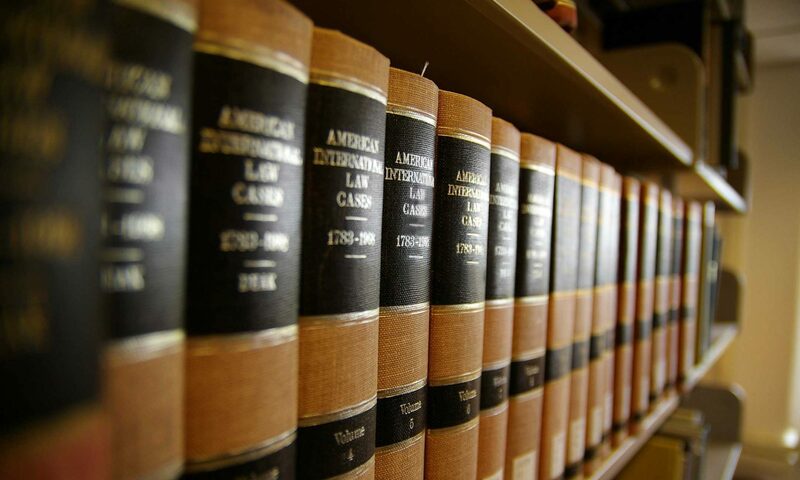 In particular, these accounts illustrate the lawyer’s role as intermediary among entrepreneurs, lenders, investors, coders, and regulators—and may inspire law students to collaborate on blockchain research projects with colleagues in their university’s business school or computer science department. Fifth, these issues will spawn a huge amount of transactional work, and certainly litigation. When I was in practice, a senior lawyer advised me, “The best clients are rich—and scared.” The rise of blockchain and related financial technology (“FinTech”) not only threatens (and offers opportunities to) banks, but it is widely expected to disrupt current methods of managing supply chains and digital content licensing; health care, mortgage, deed, and insurance documentation; citizen and shareholder voting; and energy distribution. Sixth, blockchain can also support human rights and social justice work, especially in the area of “financial inclusion”: enabling payments to be made to, and spent by, individuals (including many in developing countries) who have Internet access but not bank accounts. The technology can also be used to help philanthropies accept, and document their applications of, contributions; to provide secure and private digital identification for individuals, including the homeless; and even to establish voting processes for political elections and in organizational governance. Seventh, hiring partners, who prize “practice-readiness,” should welcome lawyers who can help their firms use, and help clients use, blockchain and cryptocurrency. In fact, digital technology might be the one realm in which senior partners readily acknowledge (or presume) the expertise of new associates. Eighth, those partners should be especially receptive to the intellectual and promotional initiative shown by applicants who have blogged about, or published even short articles about, these emerging issues—or who have created a student group to explore their intricacies. Ninth, identifying and developing topics for papers and presentations are perfect justifications for entrepreneurial students to contact practitioners and businesspeople, and thereby to start building their own professional networks. (More information on this process is available in Appendix E of my book, Corporate Governance: Principles and Practices (2nd ed. 2013).) These connections may one day propel students onto corporate boards or into regulatory or in-house counsel positions. However, less commonly appreciated is that law school also prepares lawyers to educate others—be they agencies, courts, opposing counsel, colleagues, or their own clients. The rise of blockchain offers students numerous opportunities to refine their own powers of explanation, in writing and in presentations, to different audiences. Law students shouldn’t be waiting to take—or to ask faculty to create— courses in this area. They should seize the opportunity to start educating themselves. For today’s 1Ls, 2Ls, and 3Ls, the word is blockchain. Various questions, opinions, and observations (Blog) about blockchain-related legal issues.